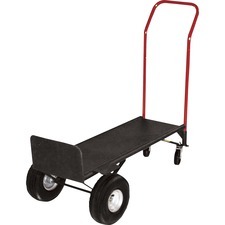 Convertible hand truck offers steel frame with a solid steel deck that prevents items from falling through. 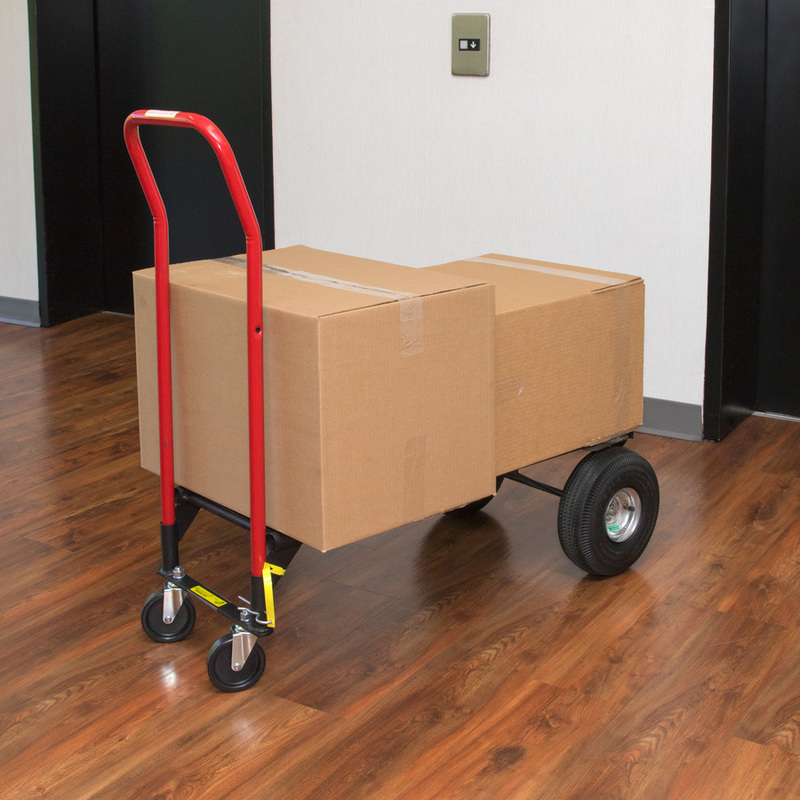 10" pneumatic tires offer smoother transport over all terrain. 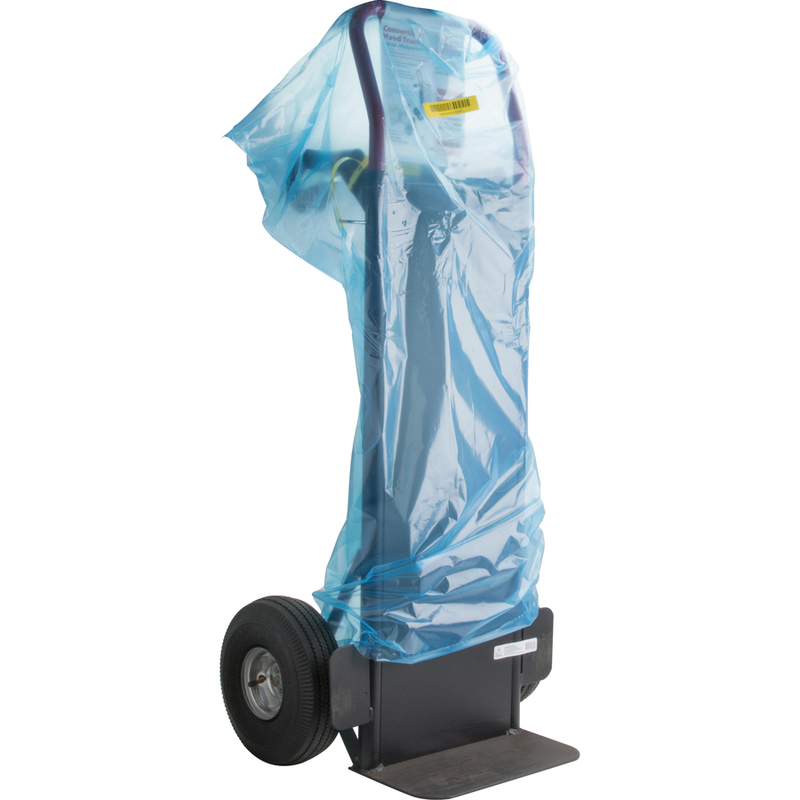 Hand truck holds up to 800 lb. in two-wheel and four-wheel positions.